I got an email from a prospective user of TestMDM regarding the Single App lock feature. After some reading I learned that whilst this feature only works on Supervised devices, it should be configurable with an MDM. The App Lock is performed by installing a configuration profile on the device. TestMDM hasn’t supported the ability to install any old configuration profile, so I’ve corrected this. 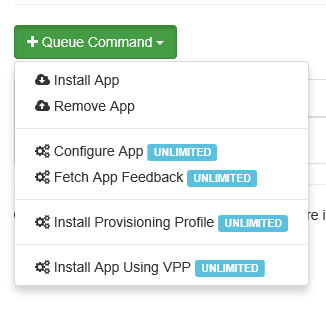 You can now choose a device and upload a PList file containing your configuration profile. I’m uploading the new build to Azure as I type, so it should be ready to use shortly.